With freshly fallen snow it's a great time to get out and enjoy some winter fun activities. We all know we have to dress warmly for our bodies but what about our exposed skin like our faces? Sometimes we have a tendency to forget to protect the most vulnerable part of our body our skin. Can you get sunburn in the winter? Absolutely! It is a fact that sunburn can occur in the winter, even here in Newfoundland and Labrador. People are focused on enjoying the outdoors and activities and tend to neglect sun protection especially young children when we take them sledding, walking, building snowmen, etc. 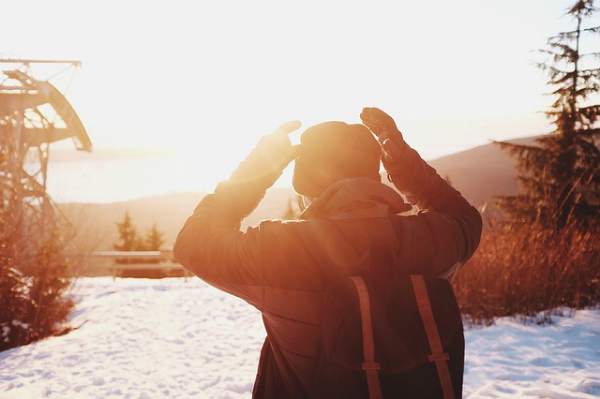 It is important to keep in mind that you must protect the skin even more than usual at higher altitudes. So, for every 1,000 foot increase in elevation, UV exposure increases by 4%, and that’s a lot. In areas with a lot of snow the exposure is increased again because of the snow’s reflection of UV radiation. So, the higher the ski or snow boarding slope the more increase of UV rays. Should we have more than one type of sunblock on hand? Definitely. When it comes to sunblock, what an adult needs for sun protection can be quite different from a child’s needs. To protect against winter sunburn use a product, preferably a lotion, with an SPF of at least 30. Remember the fairer or younger the skin the higher the SPF. So in a family it is not necessarily one size fits all. What should we be looking for when buying a winter sunblock? In general, products that contain zinc oxide and titanium dioxide are best because these are physical sunblocks, and are very effective against both UVA and UVB rays. The reason for this is that physical sunblocks such as zinc oxide and titanium dioxide reflect the UVA and UVB rays. So for all you outdoor enthusiasts who plan to embrace this season’s snowfall do not forget to put on the sunblock on both yourself and your kids. ENJOY! Older PostIs Your Make-Up Aging You?